Pops of colour leap out from every corner. A flash of red here, a dash of yellow there. 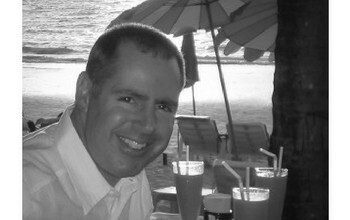 The gentle lilt of Lanna music fills the air and the tantalising aroma of Thai street food fills the nostrils. Umbrellas and parasols in all the colours of the rainbow adorn street signs and decorate shop fronts to welcome you to the Bo Sang Umbrella Festival. 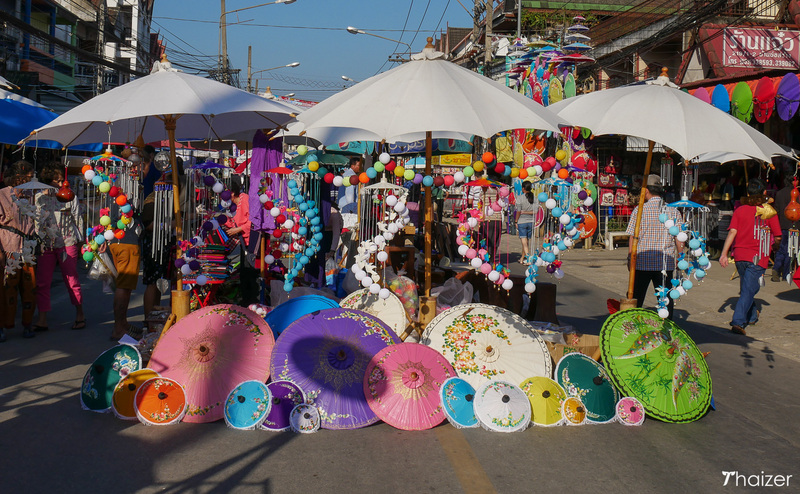 Bo Sang and neighbouring Sankhampaeng are famous throughout Thailand for the production of handicrafts and traditional umbrellas. 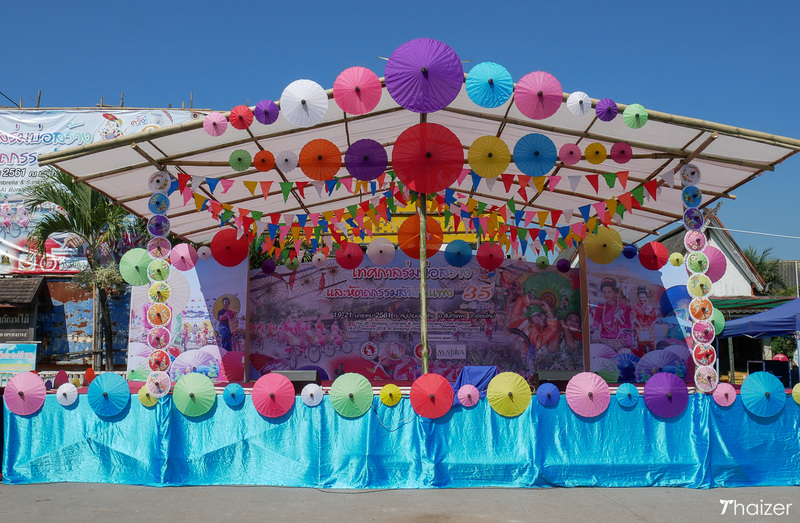 This heritage is celebrated with an enjoyable low-key festival which is always well supported by the local community. 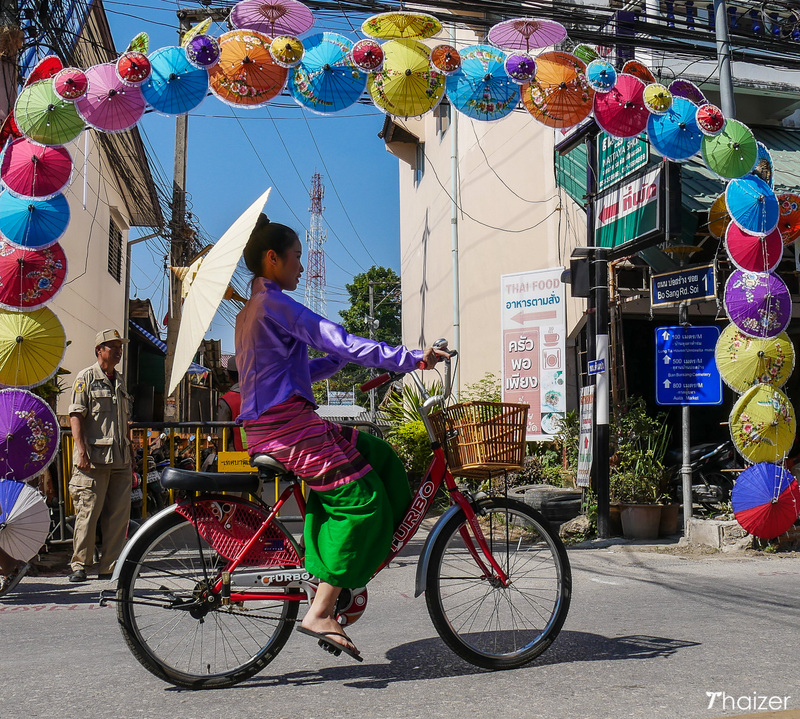 The event in Bo Sang takes place a few weeks before the Chiang Mai Flower Festival and although it may not attract anywhere near the same number of visitors, it is the intimate nature of the Bo Sang event that adds to the charm. 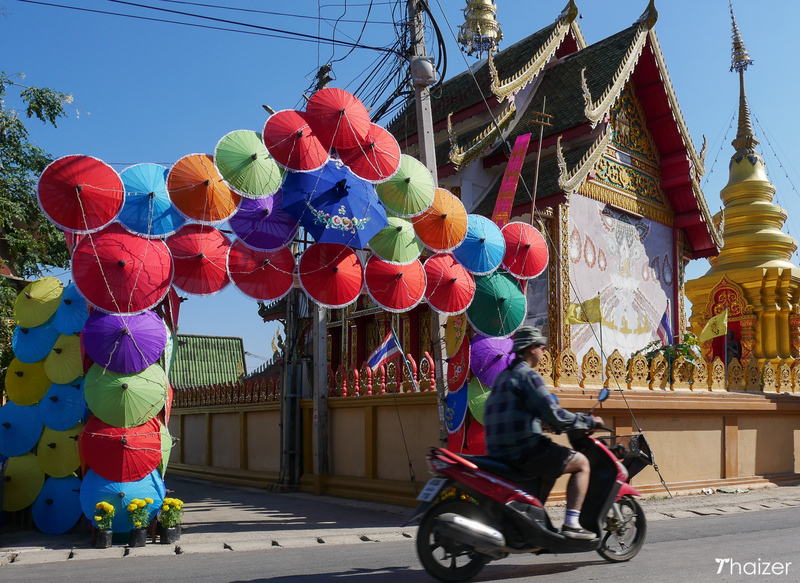 Usually held on the third weekend in January, the Bo Sang Umbrella and Sankhampaeng Crafts Festival began in the 1980s and is now a well-established fixture on Thailand’s festival calendar. Although the Bo Sang Umbrella Festival is one of the smaller events on that calendar it’s also one of the most relaxed. 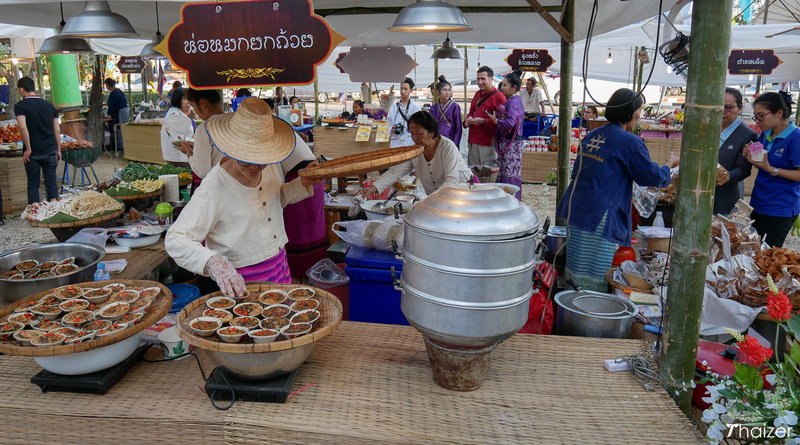 Despite the proximity to Chiang Mai, the lack of publicity about the Bo Sang event means that not many overseas tourists make the short trip out of the city to experience it. Food is always high up on the list of priorities at any social event in Thailand and the Bo Sang Umbrella Festival is no different. 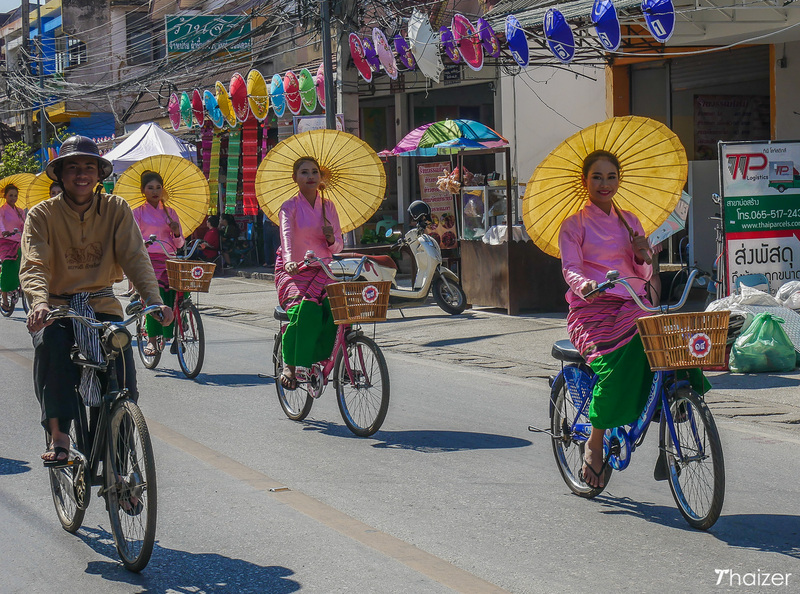 Families gather at roadside restaurants in the morning and early afternoon to watch the parade of bicycles riding past. 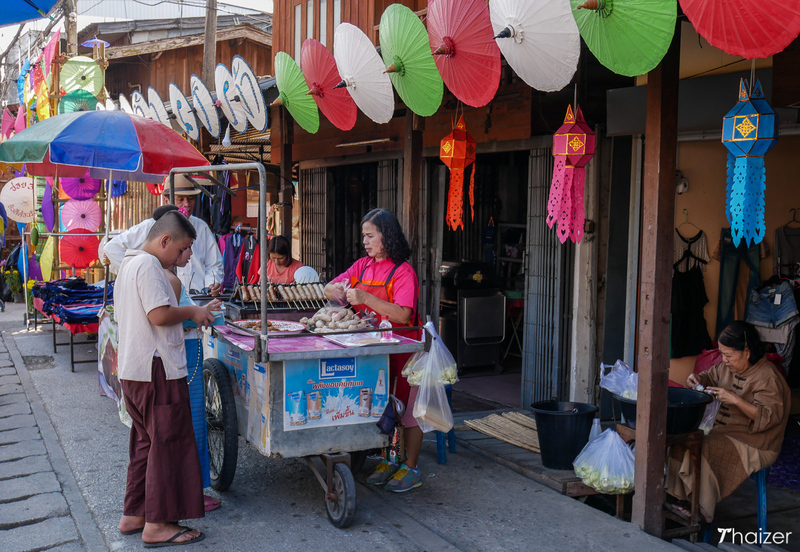 Later in the day, the main street in Bo Sang is closed to traffic and a lively market quickly springs to life. 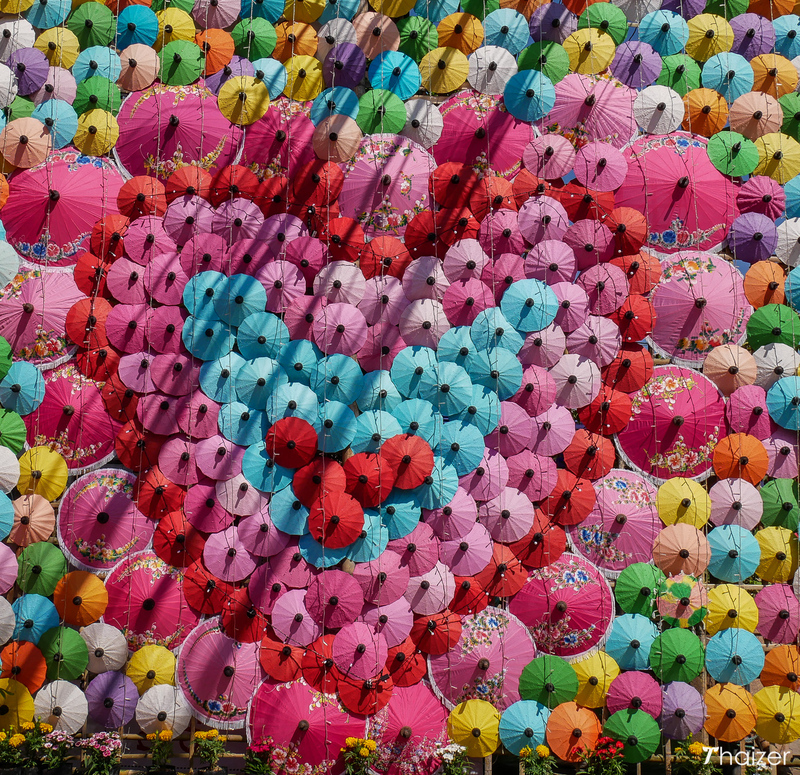 When is the Bo Sang Umbrella Festival? The festival usually takes place over the third weekend in January, commencing on the Friday morning and continuing through until Sunday evening. 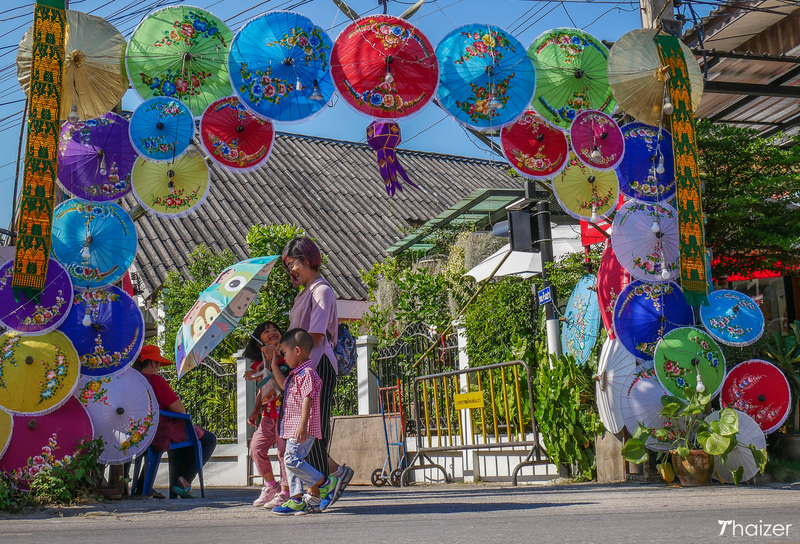 In the days leading up to the festival, stages are set up and the main street in Bo Sang is decorated with flowers and umbrellas. 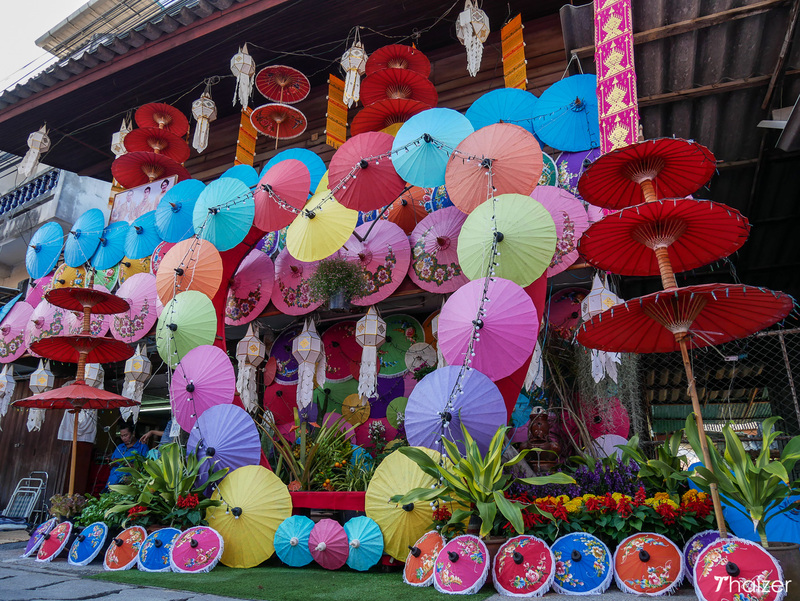 One of the best places to obtain information is the Bo Sang Umbrella Making Centre where you can usually find brochures in Thai and English detailing the events for the weekend. The festival schedule usually follows a similar pattern each year although the exact details aren’t widely publicised in advance. If you can’t make it for the festival, Bo Sang is still an interesting place to visit and an easy half-day trip from Chiang Mai. 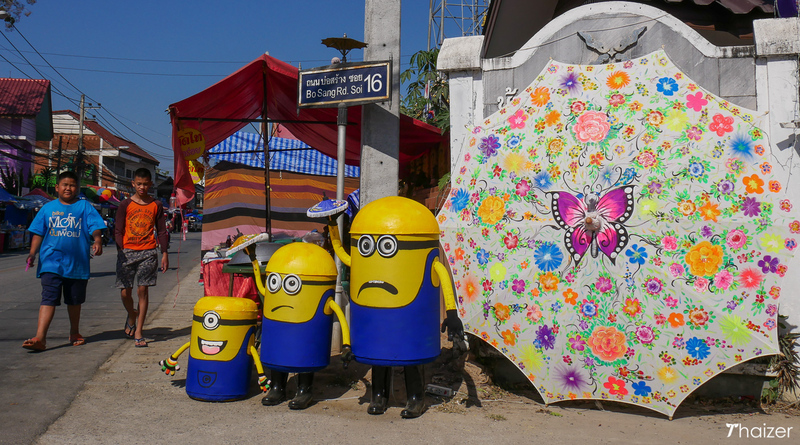 Read more about Bo Sang village and the Umbrella Making Centre. 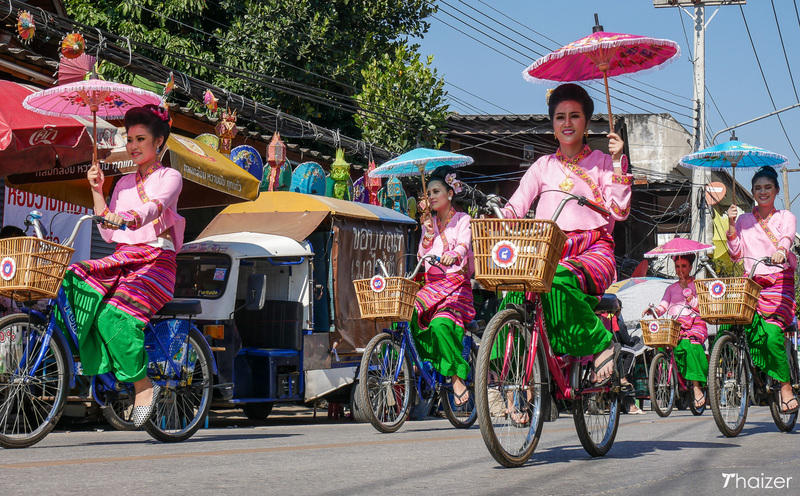 Bo Sang is approximately 10km (6 miles) east of central Chiang Mai and any tour office in the city can arrange private transport for you. 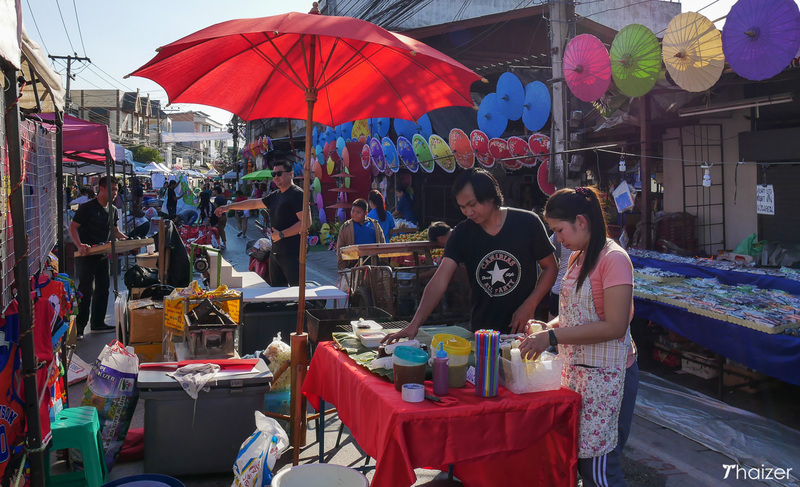 Bo Sang can also be reached by public songthaew from Chiang Mai’s Waworot Market (known locally as Kad Luang). White songthaews depart at regular intervals throughout the day from a spot adjacent to the Ping River and opposite the flower market. The journey takes approximately 30 minutes and will drop you off opposite the Bo Sang Umbrella Making Centre at the junction of Highway 1006 and 1014. To take a songthaew back into Chiang Mai, flag one down across the road from where you are dropped off. 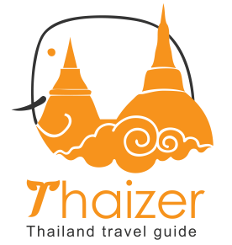 The fare is 15 Baht each way (price in January 2018).